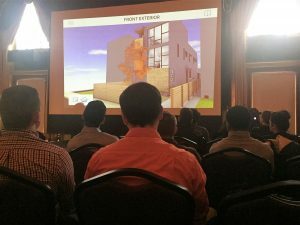 Just a few weekends ago, the American Institute of Architecture Students Chapter at the Illinois Institute of Technology hosted what is known as the Annual Midwest Quadrant Conference. 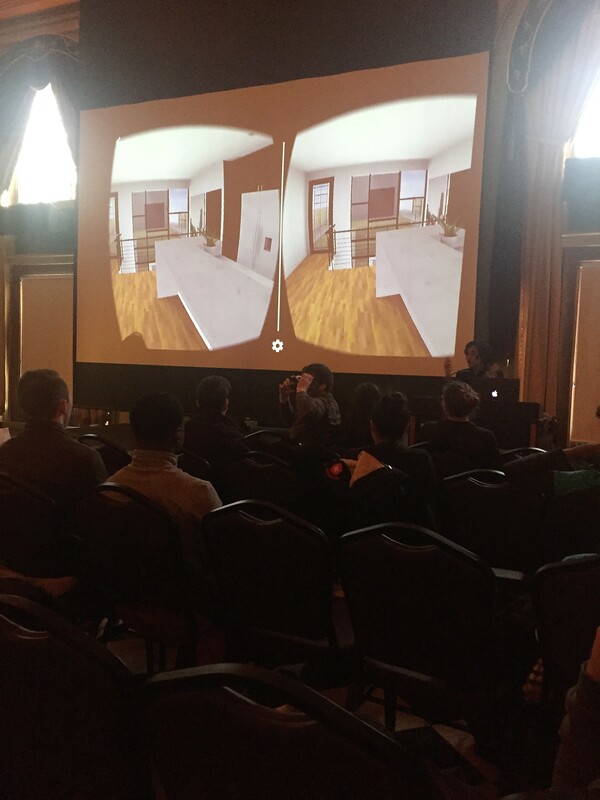 This conference brings together hundreds of students from more than 40 architecture schools located in the Midwest. 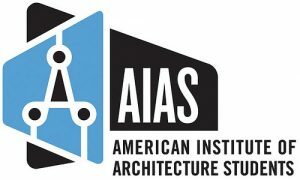 The National AIAS Mission Statement “to advance leadership, design, and service among architecture students” serves as a key component when developing the conference each year. Each conference selects a theme that drives the content programmed throughout the event. This year’s theme “Snafoo” centered on an ambition to expose disconnects within architecture and to connect its divergent paths, which is unique to ordinary conference topics. Through tracks, sessions, lectures, presentations, tours and more we could breach the boundary of the traditional conference discussions. The Conference was fortunate enough to provide the attendees with a track titled, “Speak Up. Stand Out,” hosted by multiple industry professionals including Leeswann Bolden, GRAPHISOFT BIM Consultant. Bolden’s presentation focused on software and technology, most notably BIMx and how it helps bridge the gap between the design studio and the construction site. BIMx, as a newer technology used in the architecture and construction fields, has opened up possibilities for project communication on multiple levels. The presentation exposed students to a new level of software and media that could be applicable in both an academic and professional setting. Students in attendance received information on many valuable resources that described processes including the BIMx technology and its multiple uses. 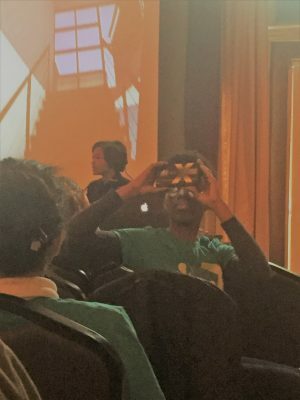 Seeing the impressive capacity of the technology and how it can be applied on multiple levels, including walk-through features, Google Cardboard (VR) compatibility, and generating construction documents had a major impact on attendees. Throughout the session, a clear and remarkable component of the technology was present; the ease at which Bolden created a single, consolidated walk-through presentation complete with working drawings by linking files to BIMx. Many of the demonstrations provided throughout the session easily kept students engaged in the topic of technology and beyond. 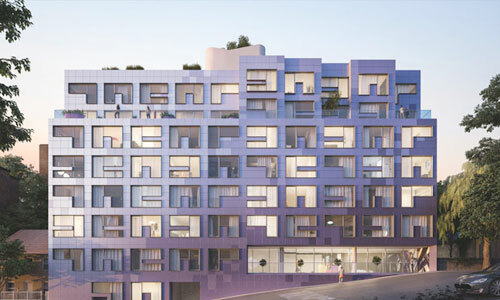 Attendees derived value in learning about the sophistication of ARCHICAD and gaining awareness as to what can be done to enhance the many phases of design development from concepts to project documents. As a student, I saw the benefit of getting an inside look at a technology that is becoming rapidly relevant in the profession but not necessarily taught in an academic setting. We received fantastic information about BIMx that will benefit us moving forward as it becomes integrated furthermore into practices, topics about presentation of projects was discussed as well. From physical representation of components to direct feedback on how to streamline presentations for easy audience interpretation, Bolden’s incredibly well-rounded session was fascinating and beneficial. Overall, the IIT AIAS Chapter would like to thank GRAPHISOFT and Leeswann Bolden for their time and contributions to the conference. We are grateful that some of our attendees could spend time in this session and are confident that they all left with valuable information.